Kitchens have always been the heart of a home, but today’s kitchens embrace function and style and have evolved into entertaining spaces that seamlessly blend with living areas. The three most popular home improvement tasks among homeowners are kitchens, bathrooms and outdoor living spaces. And kitchens sell houses, as real estate agents love to remind us. Whether you are renovating for yourself, or to sell, Brind Built Construction’s team of carpenters, plumbers, electricians and tilers can complete your entire project under the careful management of Chris Brind. We can design your new kitchen, demo your existing one, and build your new dream space – all to budget and on time. We can renovate your existing space and save money by keeping the existing plumbing layout. Or we can remodel the whole space and create a better flow by knocking down walls or adding new doors and windows to outdoor areas. One of Chris’s strengths is that he is both an experienced builder and a qualified landscaper. He has a passion for creating unique outdoor areas that flow out from your main living spaces. So when you think of kitchen renovations, don’t just think of indoor kitchens! Outdoor kitchens can be a great feature in an outdoor living area, ranging from barbecues built into benchtops to grander designs that also provide the outdoor chef with sinks and fridges. 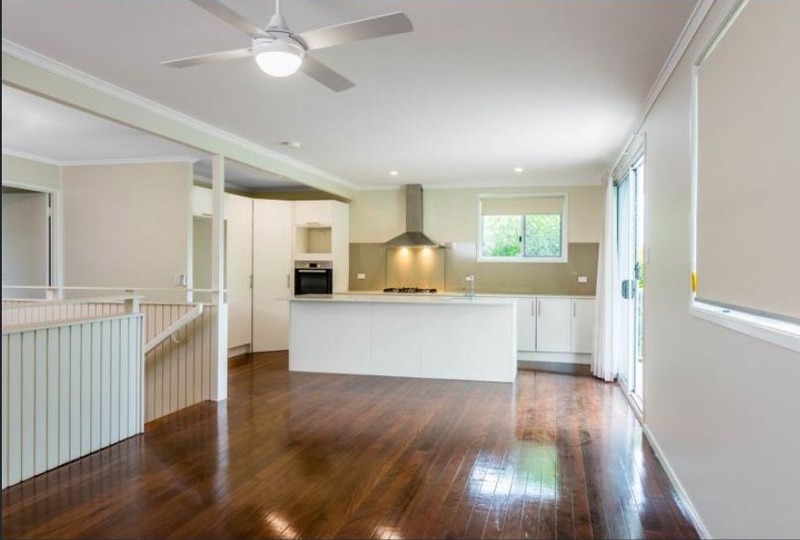 Whatever your desire, if you are looking for a Brisbane northside builder for your kitchen renovation call Brind Built Constructions. Two-tone cabinetry: Why settle for one colour when you can two! Thank those TV reno shows for making dual colour schemes popular, including dual textures such as timber and tiles. Big benches: With our kitchens now such social spaces, there’s no such thing as an island bench that’s too big. Open shelving: Floating shelves and floor-to-ceiling bookshelves are a beautiful way to showcase items and provide great storage in an organised kitchen. Think cookbooks, crockery and lovingly-labelled glass jars on timber shelves against white. Marble benches and splashbacks: This classic feature is back in fashion in a big way. And the great news is that if you love the look but can’t afford the real thing, there are some quality laminates that still look great. Matte black: Black sinks are hot new property in kitchens, and black cabinetry is timeless when combined with marble benchtops and white splashbacks. 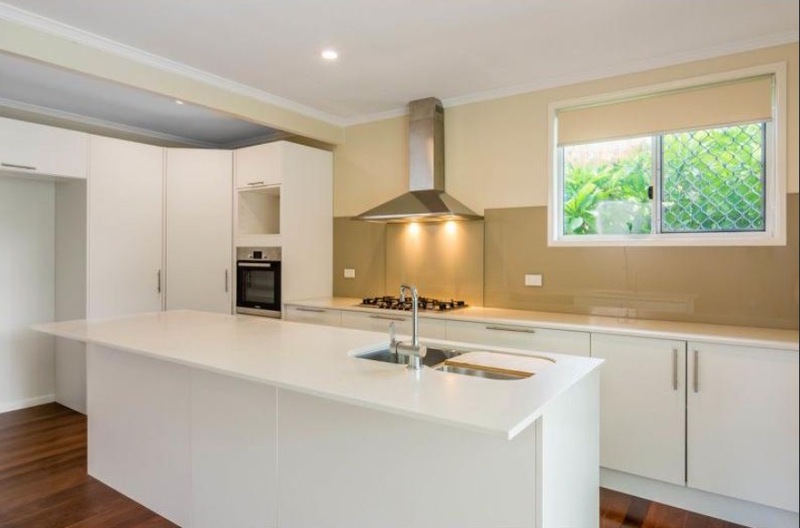 Keep it square: Use square-edged benchtops (not curved or bullnosed).